During the celebration of the World Refugee Day on the 20th of June, Migrantour Netwrok is pleased to offer FOR FREE its intercultural tours, urban itineraries guided by intercultural accompaniers and realized to help people discover our cities as well as the most multicultural neighborhood of each city from foreign citizens’ point of view and voice. The walks are starting on Tuesday June the 19th with the tour “Mille Mondi alla stazione” (a thousand of worlds at the station) promoted by Casba Cooperative in Naples. Then will be the time of Genoa, Milan, Rome and Turin with the tours promoted by Viaggi Solidali on Saturday June the 23rd. Please click here for more details. On Wednesday June the 20th in Paris, Baština is promoting different activities with Migrantour: a roundtable, project launch and a tour offered to the public. Please click here for more details. On the same day, June 20th, in Brussels will take place a tour offered by our new EU project “New roots” partner Alter Brussels offered to newcomers, as symbol of solidarity with refugees and asylum seekers…. A real welcome tour! Also in Florence, Oxfam Italia is promoting the tour “San Lorenzo: cibo e culture” (San Lorenzo: food and cultures) as part of the training course for intercultural accompaniers that has been recently started: new migrant guides will have the opportunity for the first time to take part in one of Florence’s itineraries. 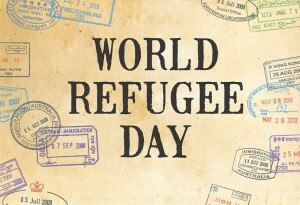 In Ljubljana, on Wednesday June the 20th at 4 pm, during the celebrations of the world refugee day, it will take place the event “Stories of Trubarjeva Street” just in front of the Slovenian Museum of Ethnography. The event, organized by the Centre for adult learning and the Institute for African Studies, will see the participation of our Slovenian partner, Terra Vera, who will present to the public the EU project “New Roots” and our Migrantour intercultural urban walks. After the event, the public will be able to discover a part of the itinerary of Migrantour Ljubljana in Trubarjeva Street. On Saturday June the 30th instead, it will take place the first Migrantour intercultural urban walk in Pavia promoted by Contatto Cooperative. The tour will be guided by two accompaniers, one from Gambia and one from Afghanistan, and it will be an opportunity to see some city areas from a different perspective, getting to know stories, languages, and countries which are usually unknown even if their nationals became part of the city.